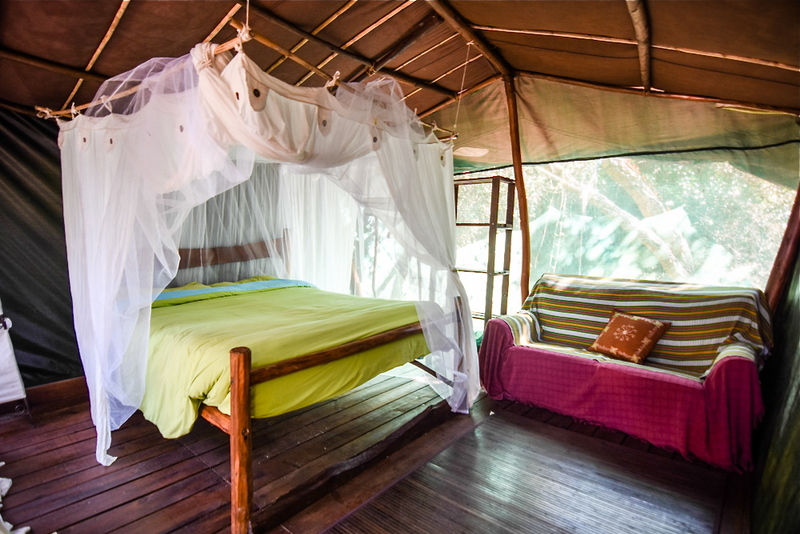 Safari Tent — Tipi Valley is an ecological surf and yoga retreat in the western Algarve, Portugal. Quite secluded however still not away from the common areas, ideal for couples wanting a little more comfort. 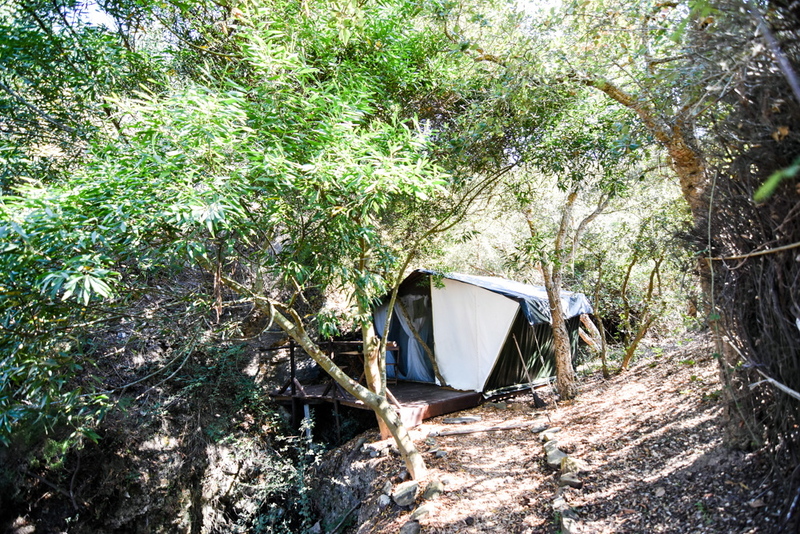 Built over the brook that runs through the retreat, this tent has its own small verandah and breathtaking views to other accommodations below. A little more shaded, it is also elevated slightly to maximise the cool Atlantic breeze, making it ideal in the warmer summer months. Inside, there’s a comfortable hand-made double bed. Outside, the chairs on the deck overlook the valley and the river.